In my house, winter means fondue time. My family has a tradition of preparing this hearty dish every Christmas Eve, a tradition that has grown since I’ve spent time living in Switzerland. Recently while at a used bookstore, I picked up a copy of The Fondue Cookbook. This recipe for Three Cheese Fondue is adapted from this book. To make fondue the traditional way, you will need some equipment. 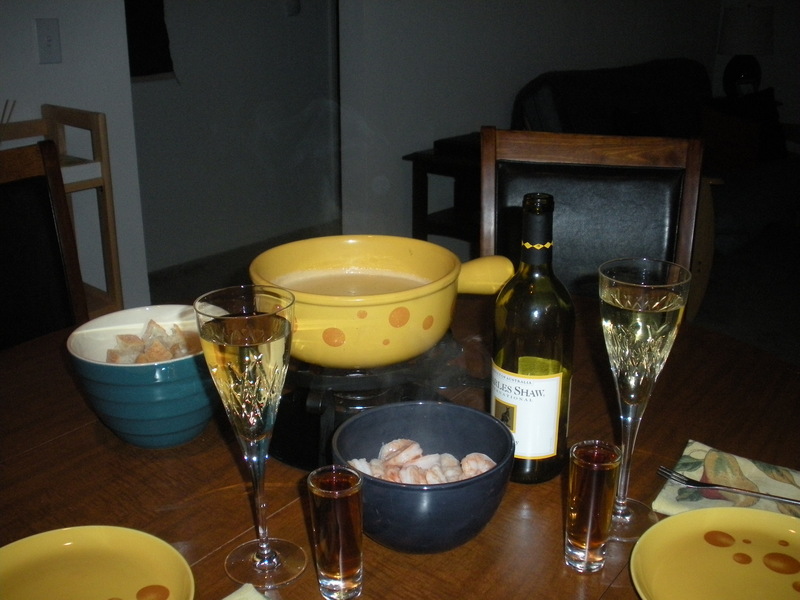 I purchased a fancy pants fondue set a few years back while on a spring break trip to Zermatt, Switzerland. Stateside, many department stores such as Macy’s and Target sell reasonably-priced fondue sets. 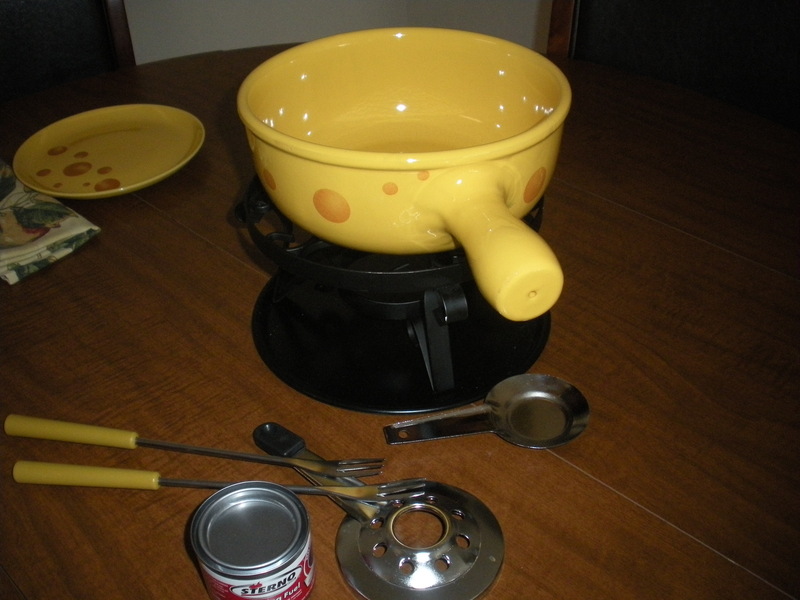 Critical equipment in a fondue set include a fondue pot, special forks, a stand, and a heat-source holder. You’ll also need some Sterno to keep the fondue pot warm while you’re enjoying your tasty creation. Most grocery stores carry Sterno in the charcoal/camping equipment department, but you might need to ask. 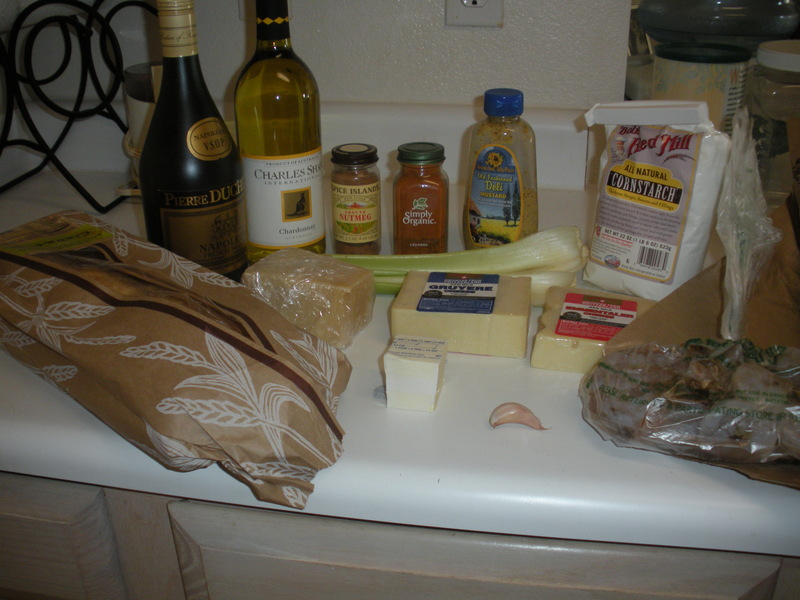 For ingredients, you’ll need 1 clove of garlic, 4 tablespoons of butter, 2 stalks of celery, 1-1/4 cup of dry white wine, 12 ounces of Emmentaler (aka ‘Swiss’ cheese), 12 ounces Gruyere cheese, 2/3 cup of Parmesan cheese, a pinch each of dijon mustard, nutmeg and cayenne pepper, 3 teaspoons of cornstarch, 2 tablespoons of brandy, one pound of shrimp, and a loaf of cubed French bread. 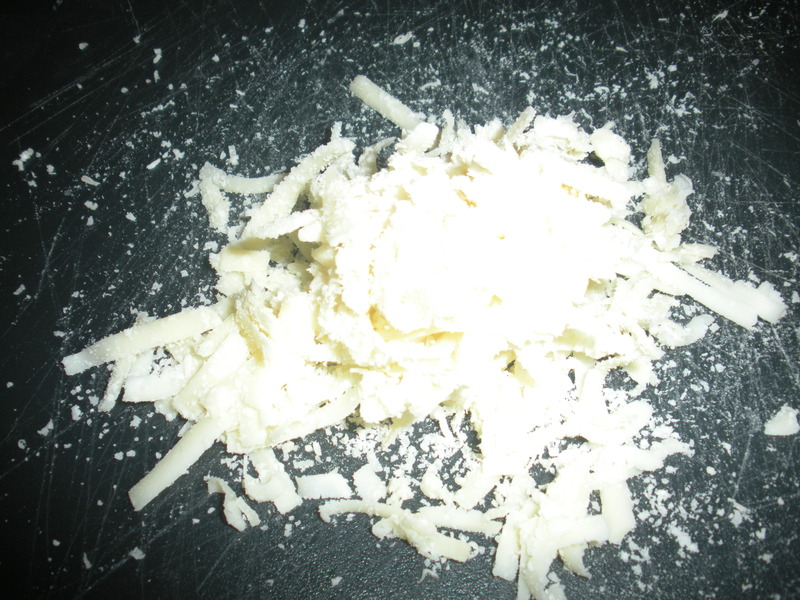 Shred the cheeses and mix together in a large bowl. Cube the bread into bite-size pieces. About 30 minutes before you’re ready to eat, rub the inside of the fondue pot with a cut clove of garlic. 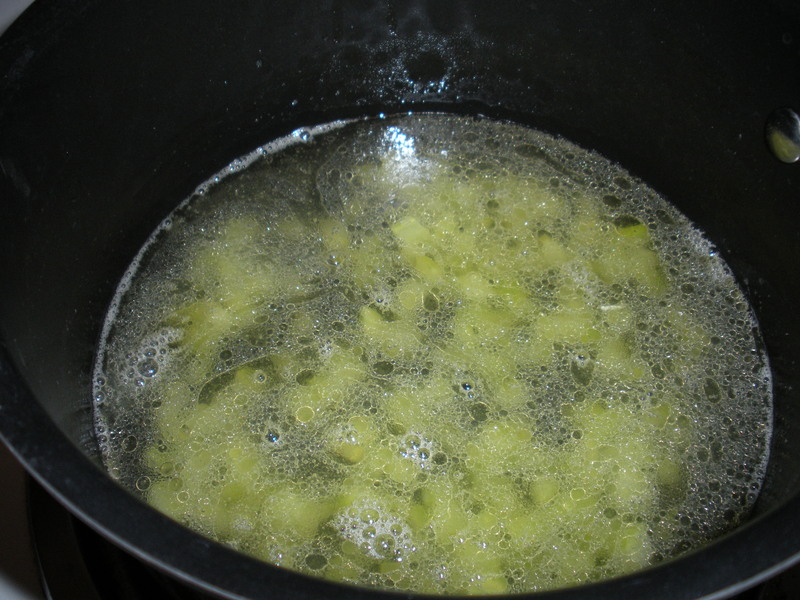 Add the butter, and cook over medium heat until it is fully melted. 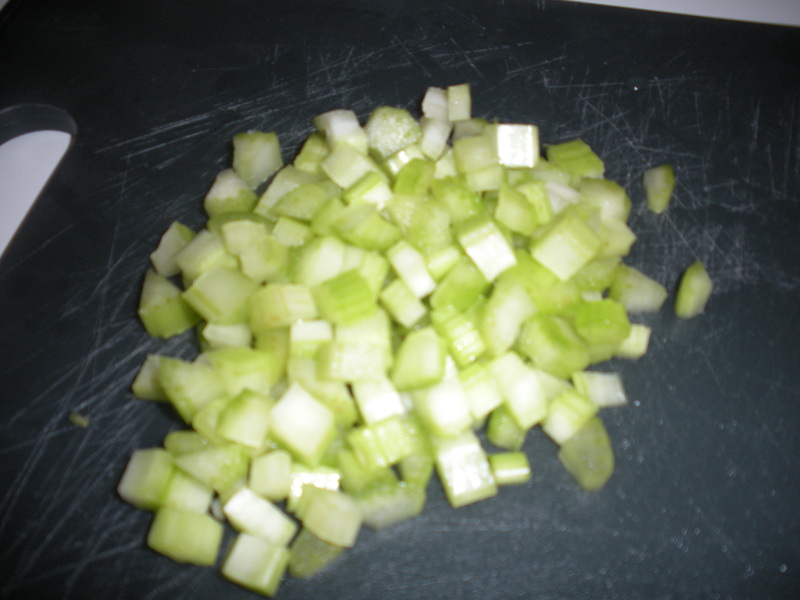 Add the celery and fry for about 5 minutes. Stir in the white wine. Add the cheese about 1 cup at a time, stirring until it melts. Add the mustard, nutmeg and cayenne pepper. 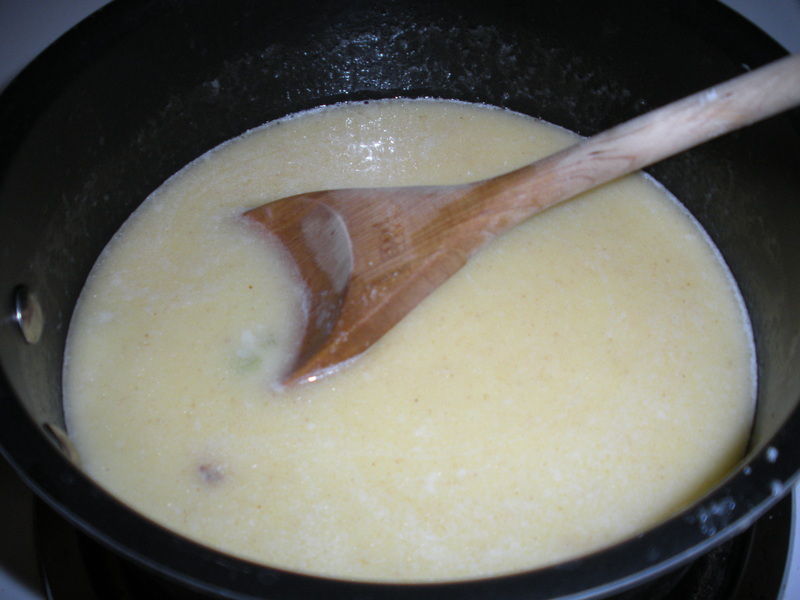 In a separate bowl, combine the cornstarch and brandy, adding to the fondue mixture. 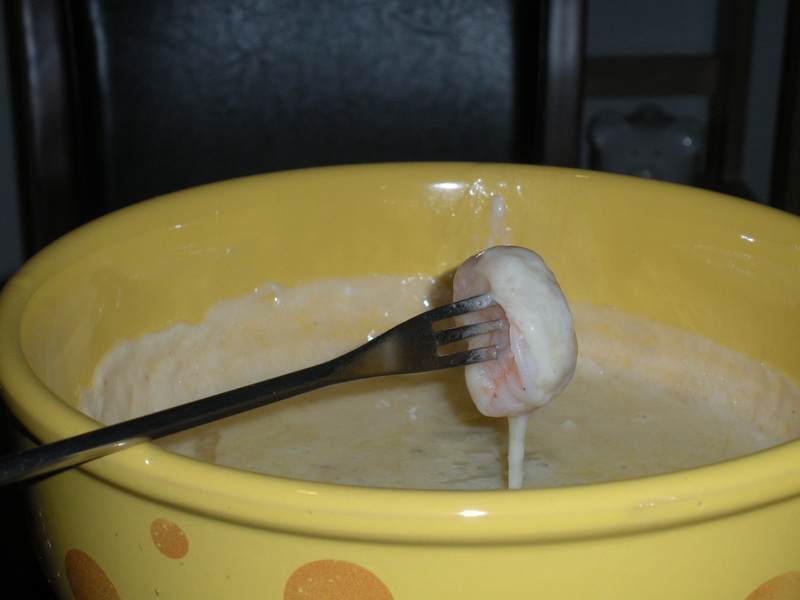 Bring the fondue mixture to a bowl and stir continuously for 10 minutes until the mixture thickens. You may need to add additional cornstarch to thicken your mixture. 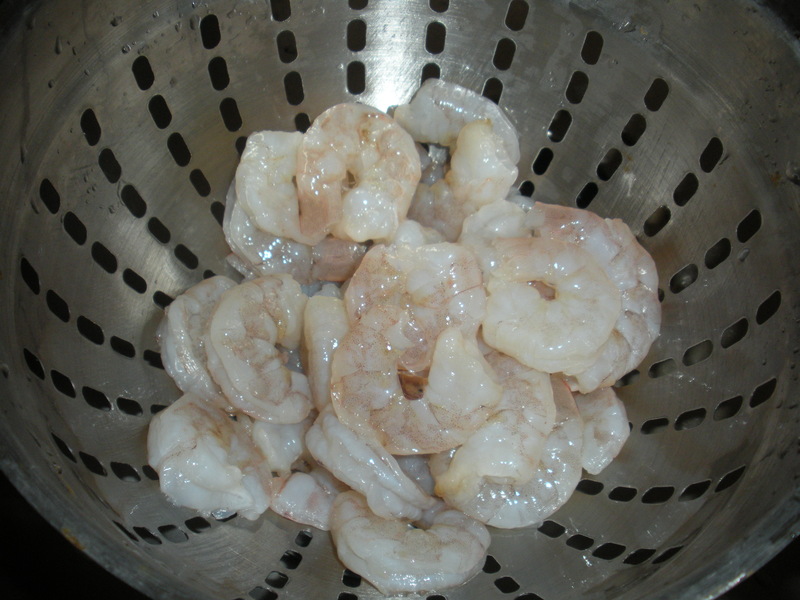 While the fondue is cooking, cook the shrimp in a separate frying pan with a pat of oil or butter. Once everything is ready, transfer the fondue to the special fondue stand on the table with the sterno lit underneath.. Serve with the bread cubes and shrimp. Most traditional fondue sets come with an adjustable fire gauge to be placed under the fondue pot. You may need to start with high or medium heat, adjusting to low heat or extinguishing the flame before the meal is complete. 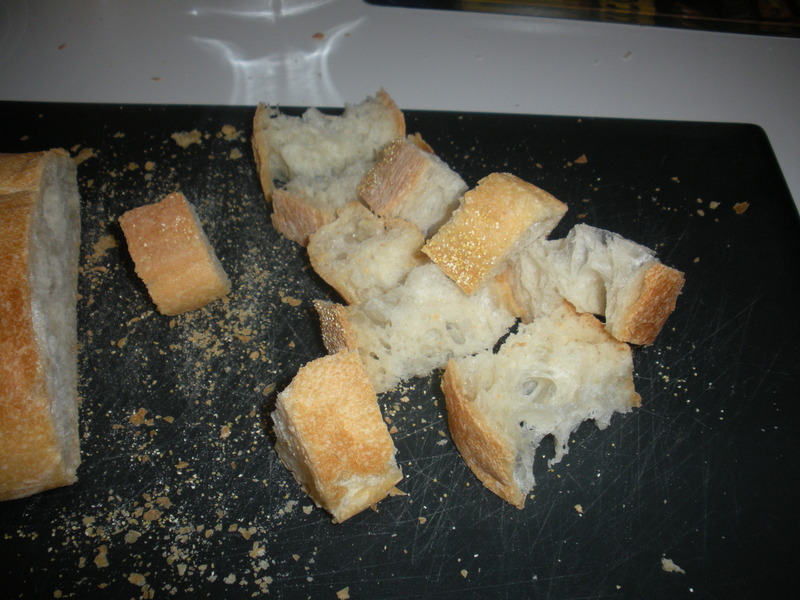 Traditionally the Swiss Romande (French-speaking Swiss) do not consume water with a fondue meal because it would cause the massive amounts of bread to sit in your stomach for too long, expanding. Alternatively, serve with white wine to drink and a shot of whatever other liqueur is included in the fondue (brandy, kirsch, aqua vite, etc.) to be enjoyed half-way through the meal. You may wish to enjoy a cup of peppermint tea after the meal to aid in digestion. The little bit of cheese that burns at the bottom of the fondue pot is the best part. This entry was posted in DIY, Recipes and tagged DIY, fondue, recipes, Swiss cuisine, winter recipes. Bookmark the permalink. This looks amazing. I can’t wait for Christmas Eve!